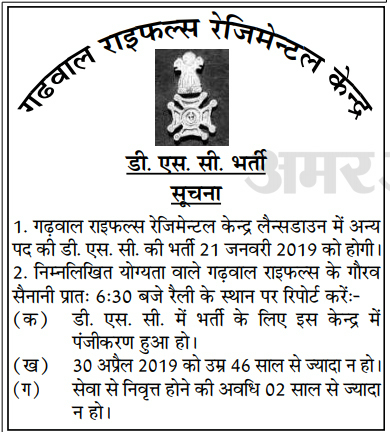 Garhwal Rifles Regimental Centre has invited the retired Garhwal Rifles armymen for the DSC Bharti/ Recruitment in Lansdowne. Garhwal Rifles is holding the recruitment rally for DSC Defence Security Corps posts in Lansdowne. All the Ex-Armymen of Garhwal Rifles can participate in Garhwal Rifles DSC recruitment rally in Lansdowne. Ex-Armymen should be registered first in Garhwal Rifles Regimental Centre for DSC Rally. Registration has been done in the center for participating in the Bharti. 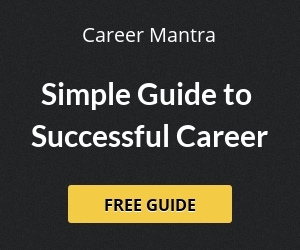 Age should not exceed 46 Years as on 30 April 2019. Duration of retirement should not be more than 2 years. 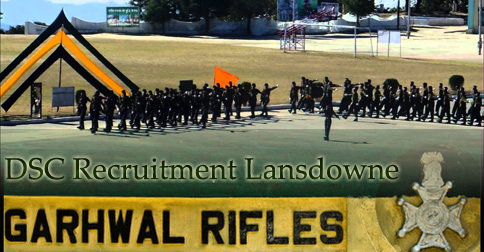 Help us to improve this article/job posting "Garhwal Rifles DSC Recruitment Lansdowne". We would be glad if you can comment below and provide your valuable suggestions and feedback. If this page have any wrong information/list or out of context content, then you can report us as well. Sir, I already apply DSC Recruitment but no information till date. What is the latest date of DSC bharti ?